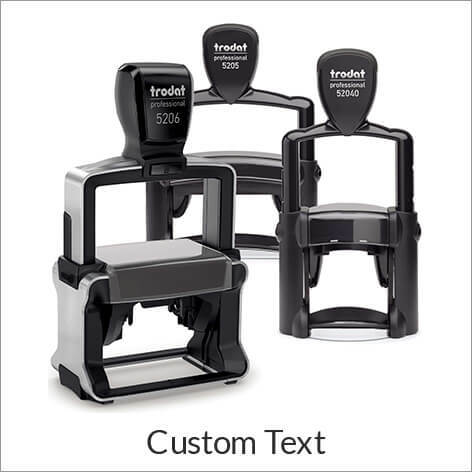 If you're looking for a stamp that goes above and beyond, you'll want the Trodat Pro-Series stamp. 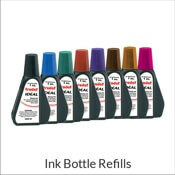 Our Trodat Pro Series stamps keep your work processes more efficient, and your fingers cleaner! 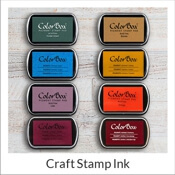 These stamps were thoughtfully designed with the user in mind. 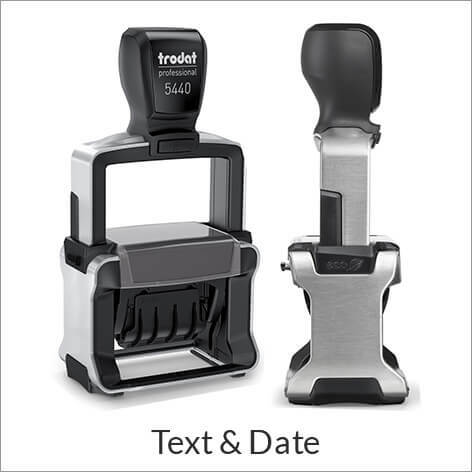 We are now offering the Pro Series custom text and date stamps, standard daters and numberers. 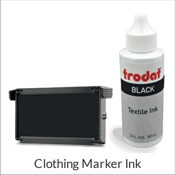 Trodat Pro Series stamps have a solid metal body that is made of stainless steel. This construction will offer you longevity and durability, so you get years of use out of your stamp. 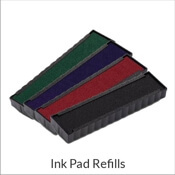 They also feature a finger guard that helps you avoid contact with ink, so your fingers stay clean, unlike with traditional daters. These stamps make changing the band much cleaner and easier. The updated date band and and slim design help you to stamp faster and more efficiently. 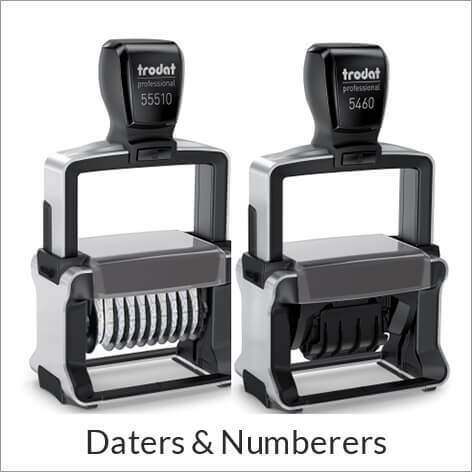 Browse our selection of daters and numbering stamps from the Trodat Pro-Series!